I always love watching interesting, well shot film clips. The surfing community is really on top of slick productions and has been for years. Watch and learn! HEADSPACE: Kelly Slater, Pt. 2 from The Inertia on Vimeo. The first question that comes to mind in relation to the tragic death of Sarah Jones, an Atlanta based second assistant camera operator, who was killed while on the set of 'Midnight Rider' is why. Why was she there? As a producer of several projects that had the potential for injury, one of my main concerns is always the safety of the folks I have working. This has to be paramount for any production. If you don't know the back story about Sarah Jones' death. She was struck by a train while filming on a train trestle over the Altamaha River near Savannah, Georgia. Several other people were seriously injured in the accident, as well. Not to be flippant or harsh, but why would any producer put a crew on an active train trestle??? This is insane! Since I was a small child, I knew that you never even attempt to cross a bridge that trains are active on. You may not have time to get off the bridge in the likelihood that a train comes. So, the idea of putting a production set together on a train trestle is beyond reckless. With the news that CSX had denied permission for the crew to be on the tracks, which is obvious from a safety perspective, the decision to put the crew in harms way is even more derelict. Such a senseless loss. Think people! Think before you make decisions that effect the people you work with. The In the Spread team is always hard at work on new projects and will keep several in the editing process, so that we can continue to add new sport fishing instructional films and short videos on a regular basis. So, in the spirit of keeping you up to date on what you can expect to watch soon, the following films will be released in March and April. One that we have already finished editing and are ready to start loading onto the site is the “Tarpon on an Incoming Tide” featuring RJ Boyle and tarpon ninja Capt. Russell Kleppinger. Wow! There is a lot of actionable info in this one. Another great film that will come out with the tarpon film is “Cubera Snapper Fishing” featuring RJ Boyle and legendary Capt. Bouncer Smith. What a time we had filming with Bouncer. We look forward to our next project with him. Along with these two we will release the “Bait Fishing for Yellowfin Tuna” with RJ Boyle and Chip Sheehan. If you want to see a guy filled with passion that never stops working, spend a day with Chip. This guy is non-stop. The three of these films and related chapter videos will be out by the end of March. In the course of producing In the Spread instructional videos, we always want to provide you with the very best the sport fishing world has to offer. In that vein, there is nobody more qualified or experienced to discuss big marlin fishing that Captain Bark Garnsey. By big marlin, I am talking about the biggest. There is no bigger sport fishing legend walking the earth. Whether you want to know more about targeting marlin on light tackle using bait and switch or on heavy tackle, Bark Garnsey is the king of kings. Are we enthusiastic about the opportunity to film with Barkie? Yes, we are fired up! 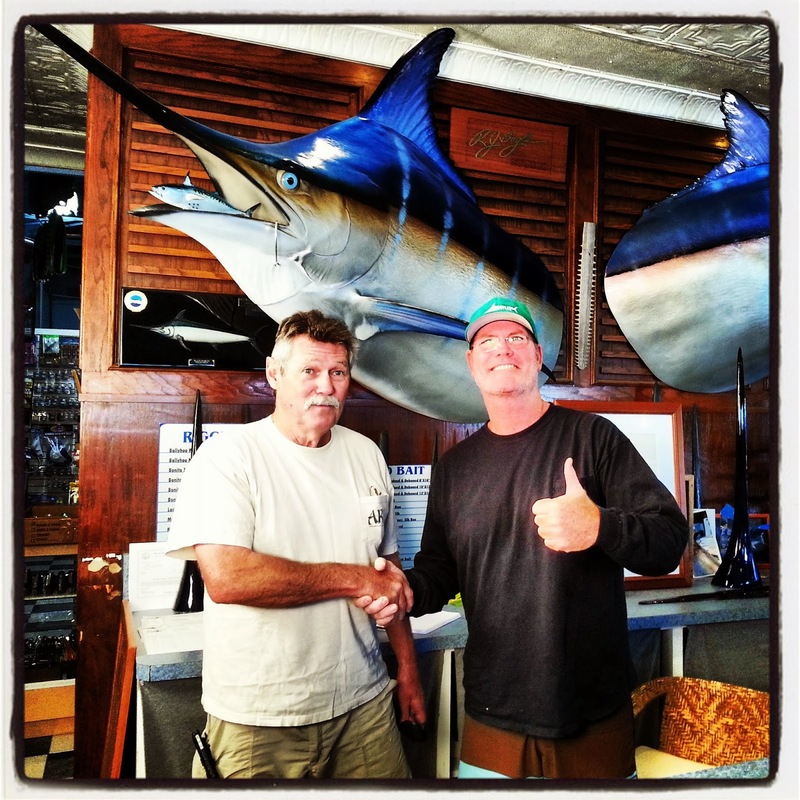 Captain Garnsey has caught so many big fish and several grander marlin as an angler and been the captain when many many more were caught. The most impressive aspect of what he brings to the table is that so much of his experience came while running the boat for another legend, Stewart Campbell, when they were targeting the very biggest marlin on super light tackle. None of their lures had hooks. They pitched baits to grander after grander after grander trying to set light tackle world records. This is the man we will be producing a In the Spread marlin instructional film with. This is going to be very interesting! What a treat! FORT LAUDERDALE, Florida February 20, 2014. 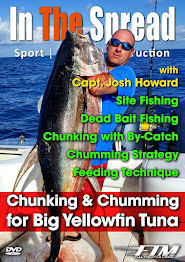 In the Spread is pleased to announce the official launch of its website (www.inthespread.com), showcasing the most complete and in-depth instructional content currently available in the sport fishing industry. In the Spread is a production of Full Throttle Media. In the Spread (ITS) is a sport fishing specific digital platform focused on delivering high-level instructional and educational content. 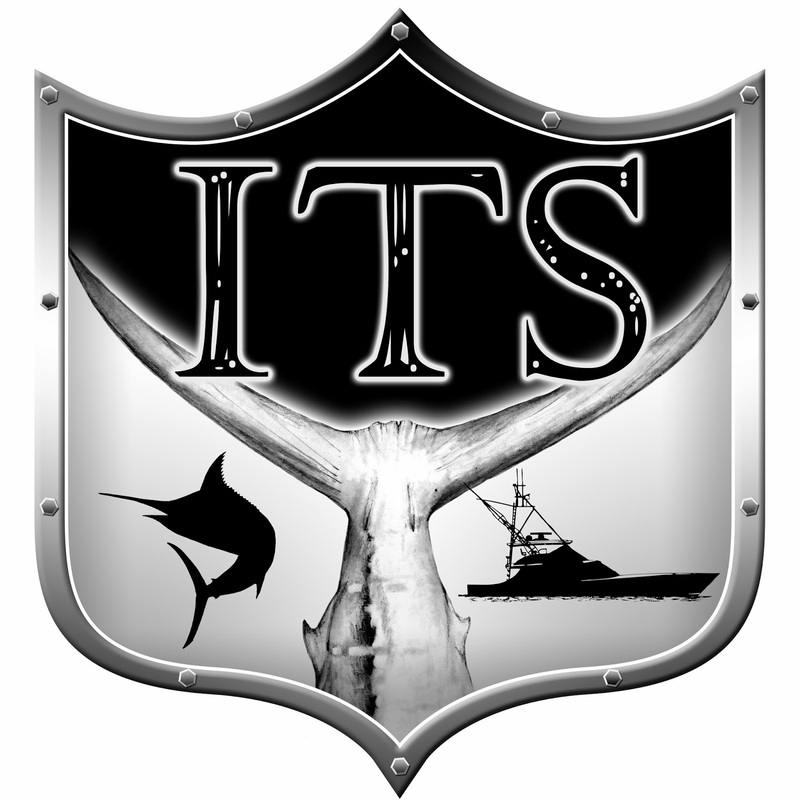 ITS produces and distributes full-length High Definition sport fishing education DVDs and other HD sport fishing related media including digital short films, long format teaching series, event and seminar streaming, medium and short run video education clips, product reviews, and other cutting edge digital media created most specifically for online and mobile applications. Based on their years on the water, getting to know fish, developing techniques and products, conducting seminars, owning and running tackle shops, the ITS team understands what anglers, the world over, are most interested in knowing. Viewers have a unique opportunity to learn everything our select group of sport fishing authorities know. These are elite fishermen who have honed their skills plying the waters in pursuit of the world's most sought after game fish. You will sit in on conversations between seasoned captains and anglers as they share real-life examples of what works with various species. From live bait and lure choice, to rigging, angling and boating techniques, you will get the opportunity to learn skills that have proven successful at the highest levels of sport fishing. The techniques presented here will instill confidence and elevate your fishing to a new level. With the introduction of In the Spread, the inaccessibility of high-level instruction for the recreational and seasoned angler has ended. What this means is that both newcomers and seasoned anglers will benefit from the vast knowledge and methodical approach presented by our instructors. This is the most complete and in-depth instructional oriented production currently available in the sport fishing industry. 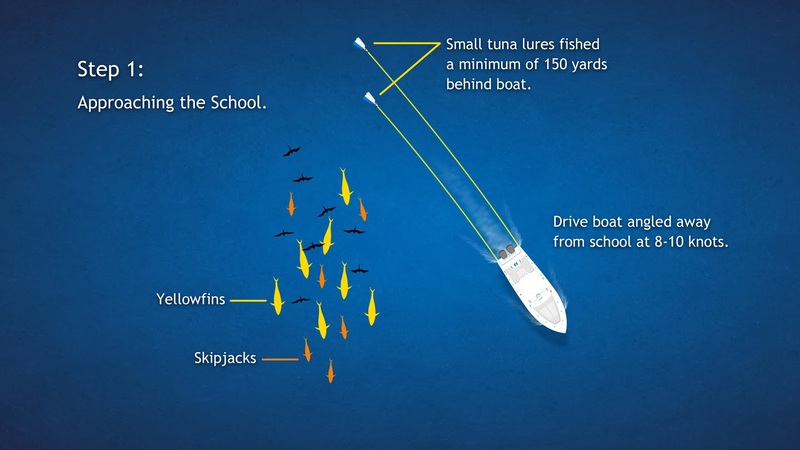 Within this comprehensive learning system lies technical information and practical methodologies related to baits, tackle, tactics and techniques, rigging methods and seamanship critical to any successful game fish undertaking. The underlying message goes to the heart of what fishing is all about, which is sharing those bits of knowledge that will enhance your next angling experience. Greatness cannot be achieved with half measures, so take advantage of this unique opportunity to learn valuable tips and techniques from the best of the best. Full Throttle Media (FTM) is a boutique production house dedicated to owning, producing and distributing niche content featuring a variety of formats including film, video digital, commercials, animation, graphic and interactive design, exhibitions, events, and original photography. Our primary target audience is the powerful outdoor recreation and high performance enthusiast demographics. Copyright © 2013, Full Throttle Media, Inc. The year is off to an aggressive start. Full Throttle Media will release 5 films in the first quarter and will shoot the years first seminar at the IGFA on Feb. 11th. "Tarpon on an Incoming Tide" and "Nighttime Tarpon" both featuring Russell Kleppinger, "Cubera Snapper" featuring Capt. Bouncer Smith, "Yellowfin Tuna" featuring Chip Sheehan and "High Speed Wahoo Trolling" featuring RJ Boyle will all be released through our production In the Spread (ITS). RJ Boyle hosts all 5 of these feature length instructional films. He will also be hosting the seminar, along with Skip Smith, at the IGFA. The seminar will feature Ron Schatman, Dean Panos, Casey Hunt, Stan Hunt and John Dudas. These are some big names. Stay tuned for more information about upcoming releases and the launch of the In the Spread website. We hope that will launch next week. We have been really patient with the launch and are now frothing a bit to get it online.